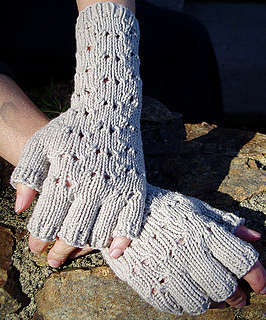 These gloves have just enough lace for a ladylike look, but are still solid enough to keep the cold out. 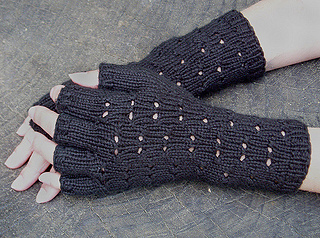 The truncated fingers will leave your hands free for all kinds of tasks while keeping them warm. 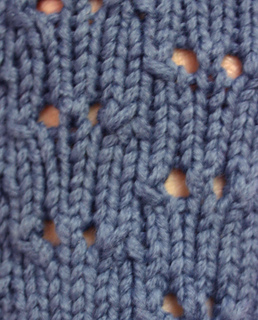 Note: Yarns shown usually knit at 20-21 sts to 4” in Stocking Stitch. 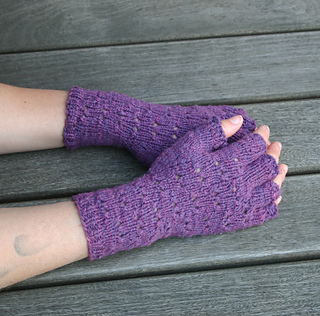 They have been knit tighter than recommended gauge to get a denser fabric suitable for gloves.